West End Outdoor Centre is situated amidst stunning landscape overlooking the peaceful and tranquil Thruscross Reservoir in a designated area of Outstanding Natural Beauty. 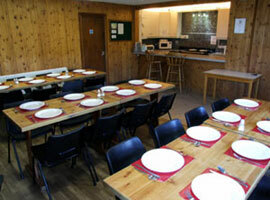 The leaders' en-suite room/flatWest End Outdoor Centre offers good quality self-catering accommodation for up to 30 people in 9 bedrooms with bunk beds. This includes leader's en suite accommodation with private catering, dining and lounge facilities. This self-contained accommodation is ideal for families or couples. The Centre is fully centrally heated for your comfort. The Centre is conveniently placed close to the heart of the Yorkshire Dales National Park yet only two and a half miles north of the A59 (Harrogate to Skipton road) from Blubberhouses. 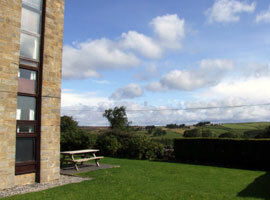 The centre is 12 miles from Harrogate and Skipton. The Centre is an excellent walking and touring base, being within easy reach of a wealth of natural visitor attractions, waymarked walks and nature trails.